The tentative opinion of the Fourth District Court of Appeals in the case of the City of Riverside v. Inland Empire Patients Health and Wellness is unfortunately not favoring the Riverside medical marijuana dispensary. The dispensary appealed a trial court finding, which upheld the city’s right to shut down the dispensary after declaring it a public nuisance. The case is one of a handful being watched by medical marijuana dispensary attorneys in Riverside and elsewhere in Southern California. As we reported recently on our Marijuana Lawyer Blog, dispensaries must continue to stand and fight against the local, state and federal interests that continue to infringe upon the rights of medical marijuana patients and collectives granted by voters in 1996. Inland Empire Center is contending Riverside’s ban on medical marijuana dispensaries is preempted by state law — including the Compassionate Use Act of 1996 and the Medical Marijuana Program. The court’s tentative opinion sides with the city. Inland Empire Center opened in Riverside in 2009. The city sued the dispensary operators and the landlords. The city sent a letter claiming code violations before filing suit. 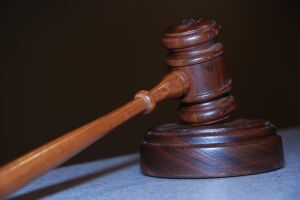 The trial court granted the city a preliminary injunction in November 2010. The appeals court was asked to overturn the injunction on the grounds that the trial court abused its discretion. The court said at issue is whether Riverside’s zoning rule is valid and enforceable. And whether the dispensary met its legal burden to show state law preempts the local ordinance, which it has failed to do in the case, according to the tentative opinion. Also at issue in this case is the city’s contention that a clinic next door was involved with the medical marijuana dispensary. Both were owned and/or operated by the same people. Doctors are not permitted to refer to clinics, which may also be a non-profit violation. Oral hearings in the case are pending.